This delicious salad just screams “Summer!” to me. Maybe because I first had it on a warm summer day a few years ago while on vacation in Germany. My friend Hans shared this recipe with me after he prepared it for us during our stay, and it still brings back fond memories of basking in the warm sun on his lovely garden terrace. A smaller version of this salad is a great starter for any summer meal, while a larger version makes for a very satisfying entrée. Served either way, it pairs fabulously with a cool, crisp white wine and a warm, sunny day. Sauté shallot in 1 T of olive oil until softened, 2-3 minutes. 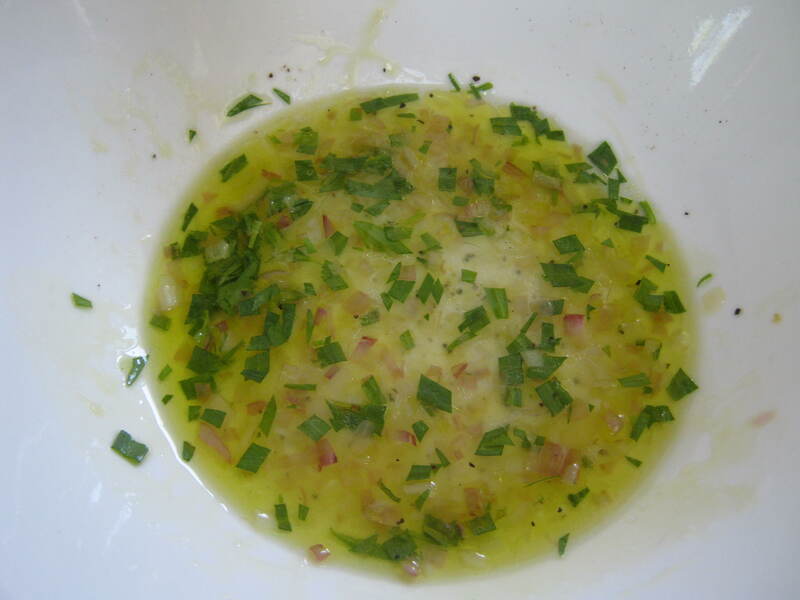 Whisk together the lime juice, vinegar and the rest of the olive oil, and then add the softened shallot. Stir in the sugar, salt, pepper, and herbs, and set aside to cool. 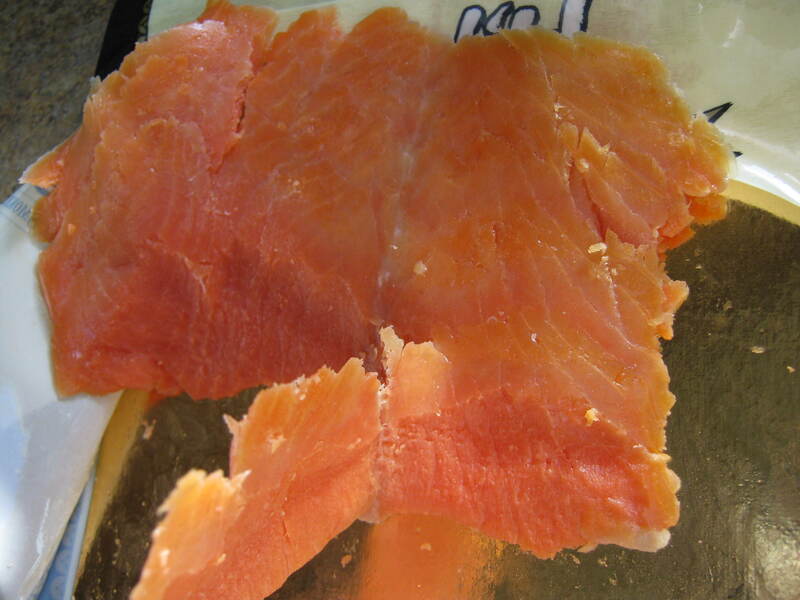 Disassemble the salmon a little by peeling apart the thin slices. When the marinade is cooled a bit, completely cover each side of the salmon with the cooled marinade. Let sit 10 minutes at room temperature. 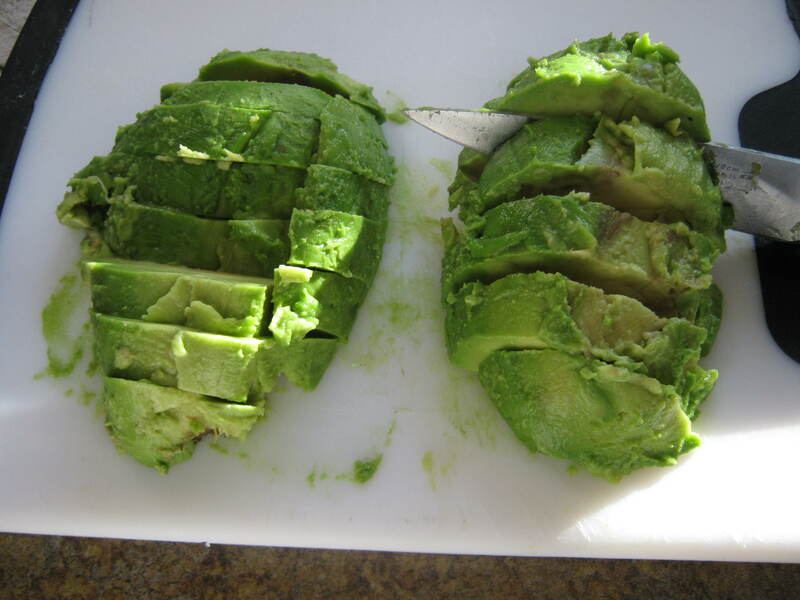 Slice the avocado. 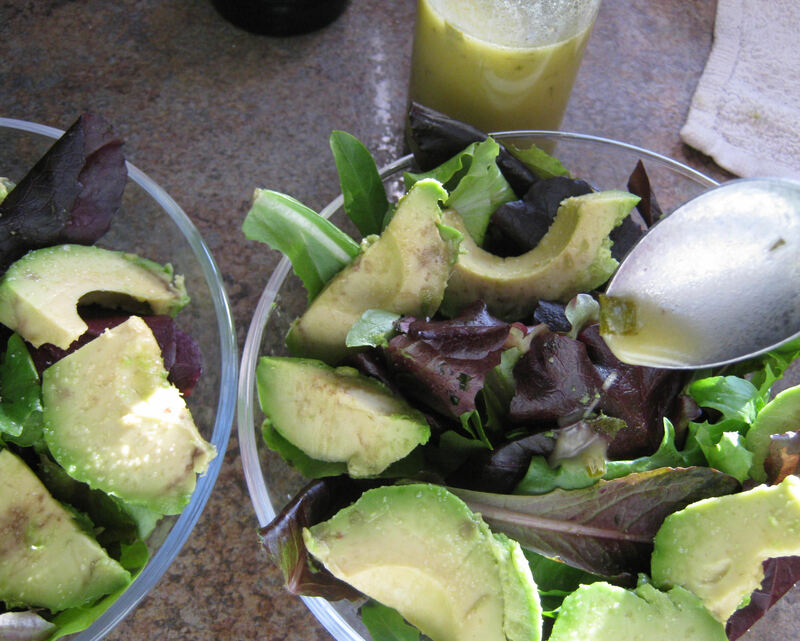 Place some lettuce on each plate/bowl, arrange the avocado slices around the outside, and then drizzle with lemon vinaigrette dressing. 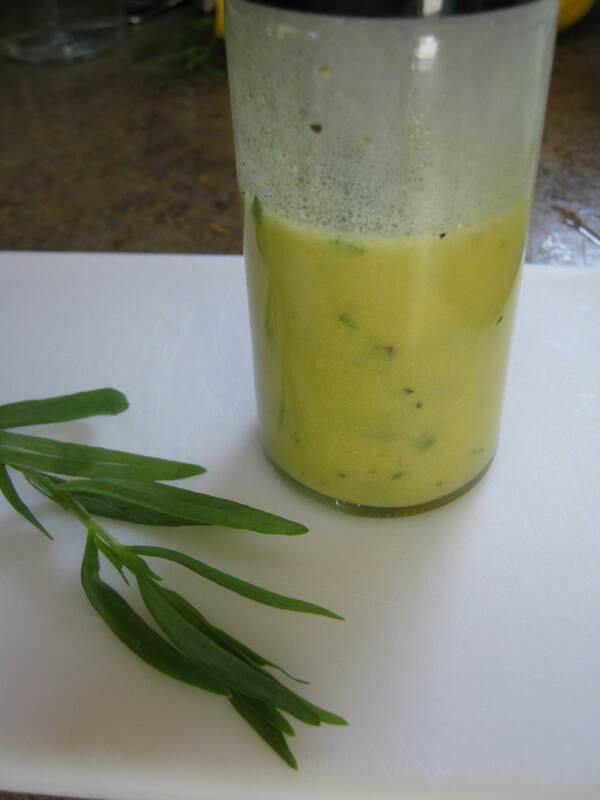 (Alternatively, the leftover marinade could be used as the salad dressing.) Place the salmon on top, and add salt and freshly ground black pepper to taste. Combine all ingredients in a small jar and shake well to blend. Shake again just before serving. This is a super easy recipe because none of the amounts really matter a great deal. Don’t get too hung up on exact measurements: I only provided them as a guideline. I never make it exactly the same way twice, but it always turns out pretty much the same. 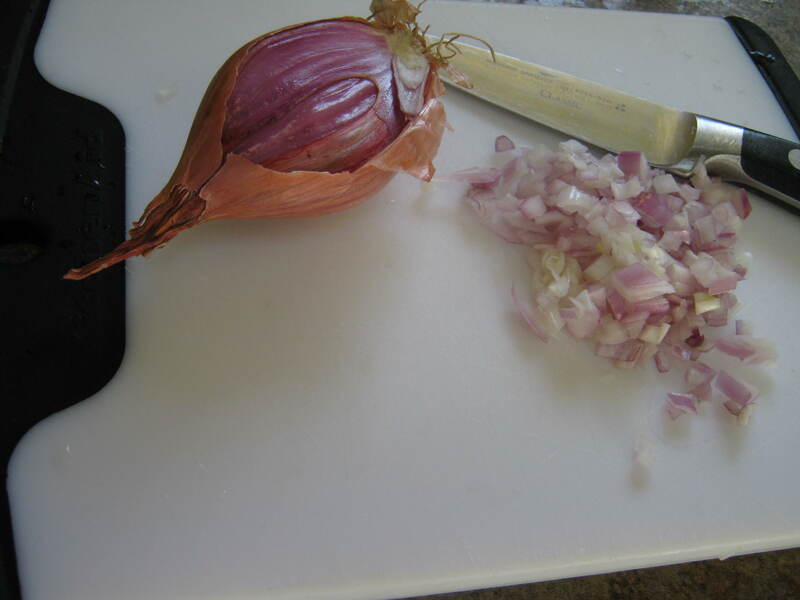 First, mince the shallot. 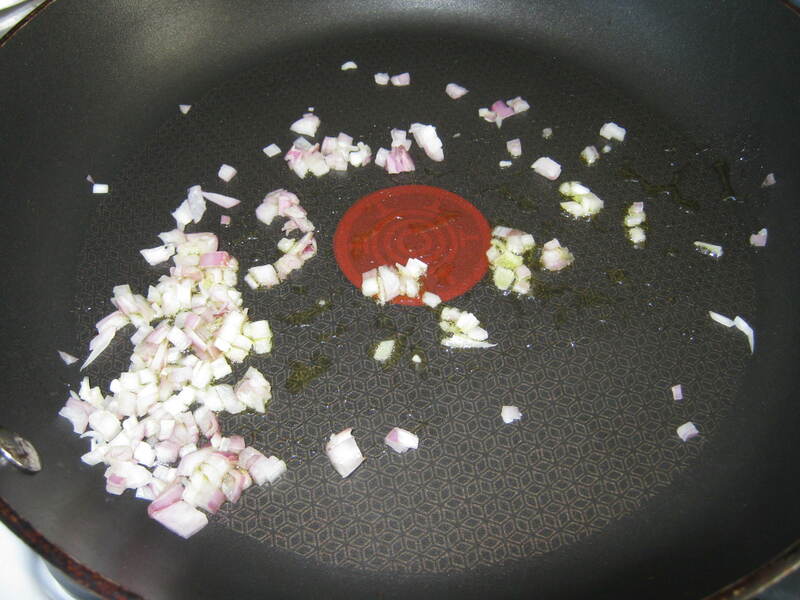 Now sauté the minced shallot in olive oil until softened, 2-3 minutes. While the marinade cools, prep the salmon. Disassemble the salmon a little bit by gently pulling the thin slices apart. They may tear a bit, but that’s okay. Try to keep them bite-sized or slightly bigger. 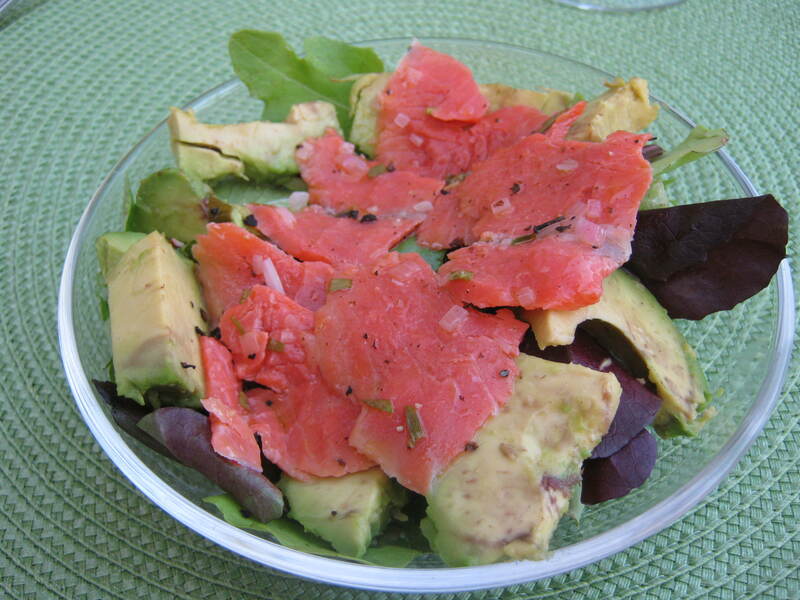 Add the separated salmon slices to the bowl with the cooled marinade. Completely coat one side of the salmon with the marinade, then turn the pieces to coat the other side. Let sit 10 minutes at room temperature. 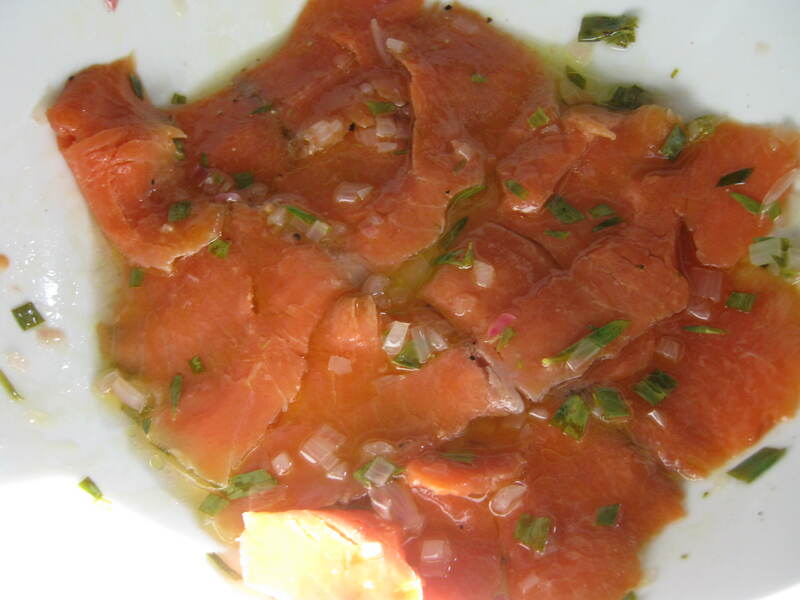 While the salmon marinates, make the lemon dressing (if using). Just measure everything out (again, you don’t have to be exact here) and put it in a small jar. 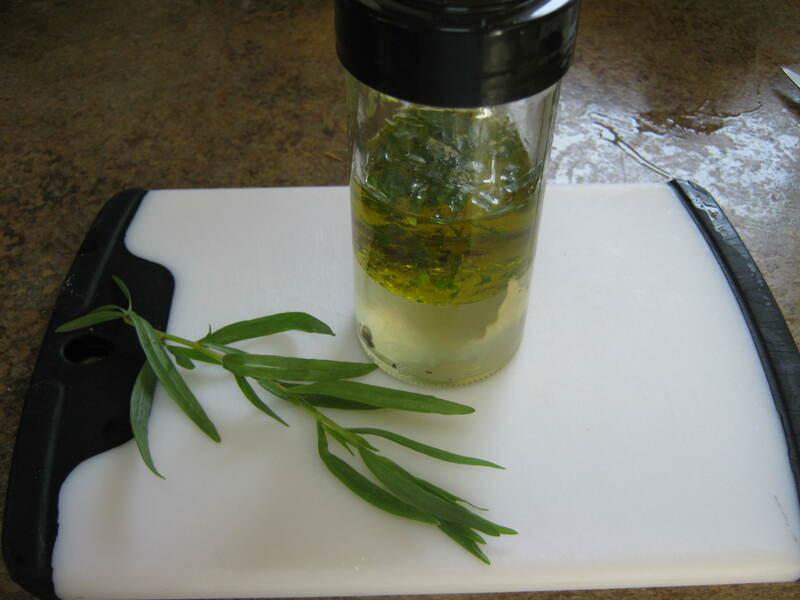 I really love tarragon in it, so I make sure to use it fresh or dried. Shake it really well to combine. Normally, oil and vinegar don’t get along very well, so it’s hard to get them to combine. That’s where the mustard comes into play: it helps the oil and vinegar overcome their differences so they can play nicely together. Shake it until it is uniform in color, but be sure to shake again just before using. Place the salmon on top, and add salt and freshly ground black pepper to taste. 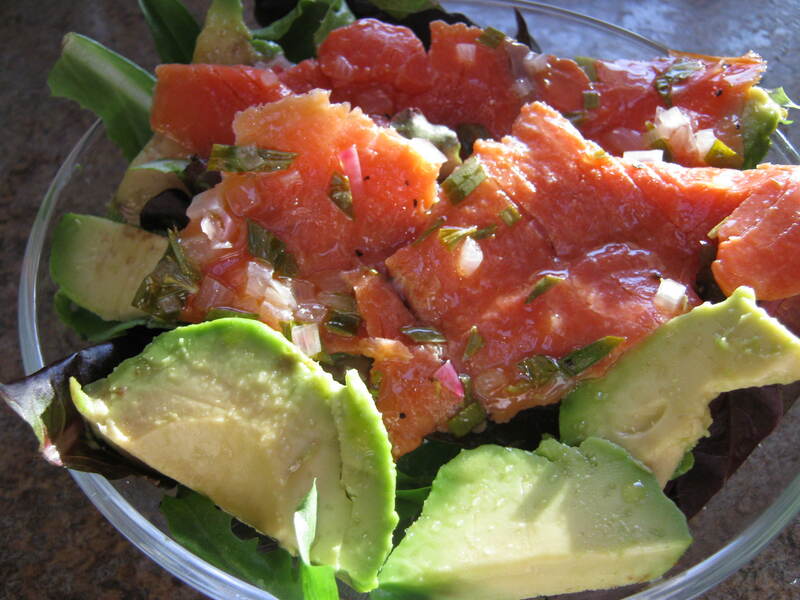 (If using leftover marinade as the salad dressing, drizzle it over the salad at this point.) Enjoy!